The Navarino Canvas Tote was conceived as the ultimate shopping bag. Created with natural cotton fibers, it is very ample and very sturdy to hold daily groceries. Its distressed look provides a contemporary and fashionable edge, a bag to also carry to the beach, the gym, or to school. 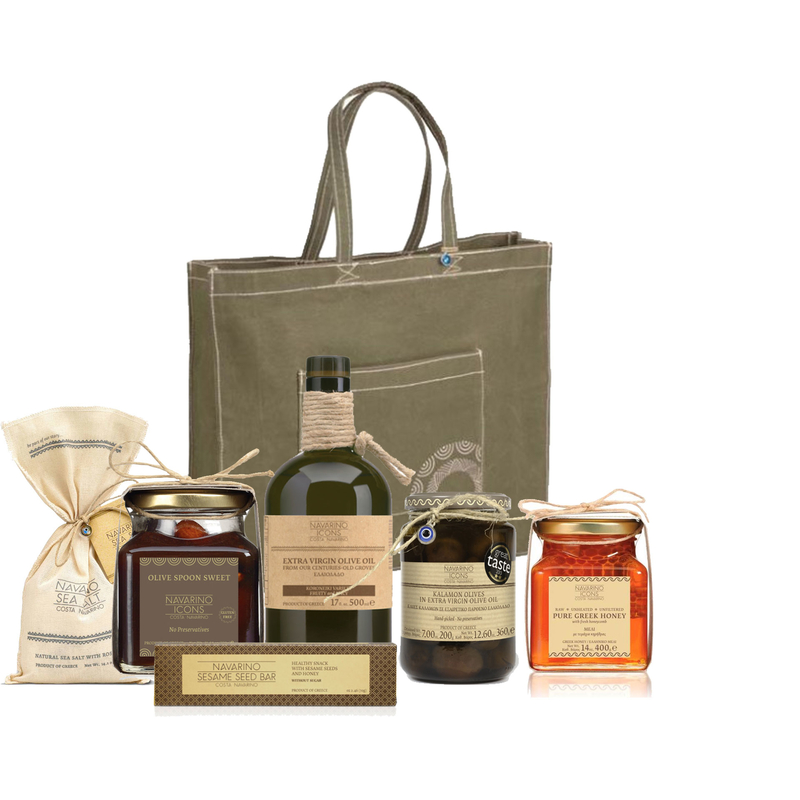 Filled with authentic food products of the highest quality and cultural objects inspired by Messinia’s rich heritage, capturing the beauty and natural flavors of Greece.